hi ! at long last the hogs debut album of original material entitled 'in a bag' was released on jan 9th 2016 with a packed album launch night at the mulberry tree Ipswich, it features ten original hog compositions...It is available from the band, Out of Time Records Ipswich & Orwell Motorcycles, Ipswich. we also have a cd recorded live ! 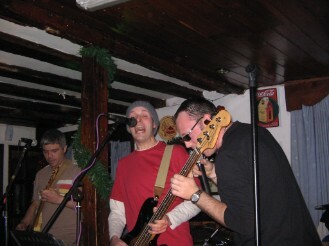 at the milestone, ipswich in 2008, it received good reviews from both bbc radio suffolk and ipswich gig guide 'the grapevine'... what a night it was...! KEEP ON ROCKIN' ! ALSO AVAILABLE IS A FOUR TRACK CD RECORDED AT BBC RADIO SUFOLK IN APRIL 2011 WHICH INCLUDES TWO ORIGINAL 'HOG COMPOSITIONS !